We supply and fit all types of fire alarm systems for all businesses and budgets in Surrey, London and across the South-East. All of our work is guaranteed for 12 months as standard. Choosing from all the available fire alarm systems can feel like a bit of a minefield. You need to know how different systems work and which provides best value for your business. That’s where Surrey Fire & Safety can help. We’ve got nearly 20 years’ experience installing all types of fire detection systems and we understand that businesses need a fast, flexible service, and competitive prices. We’ll work with you every step of the way, offering no-nonsense advice and equipment tailored to a budget – a truly bespoke package that will ensure you comply with legislation and building regulations. Our friendly team of fully-qualified, expert engineers will gladly run through the basics and explain the different types of fire alarm system (don’t worry, you won’t need a science degree) but here’s a quick taster to get you started. A fire detection system which uses a secure wireless link between the sensor and the control panel. Most will offer sounders, beacons and call points. These are a great option if you don’t want lots of cable on your premises. 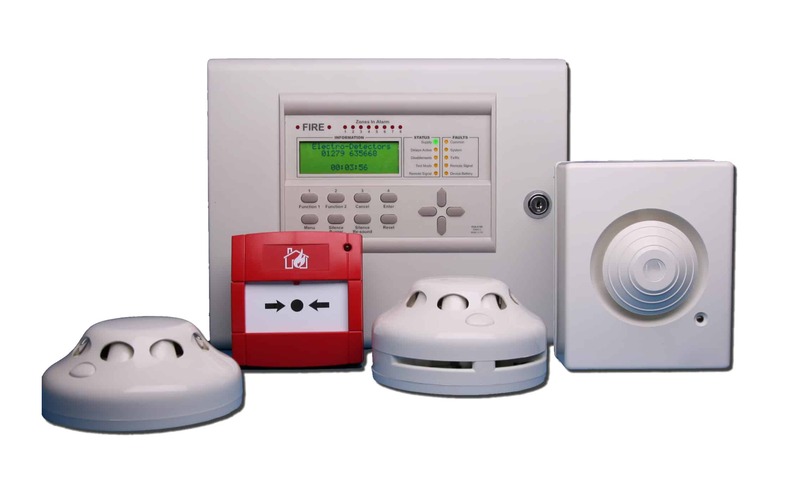 So which type of fire alarm system is right for your business? Unfortunately there’s no one answer. It depends on the size and layout of your premises, the budget available and, crucially, the competence of the installer. A conventional fire alarm system may not be as sophisticated as an addressable fire detection system. But the fact that it’s simpler doesn’t necessarily make it less effective or unreliable. For some businesses a simple, less costly, conventional solution will be the best option. Addressable fire alarm systems are more accurate at pinpointing the seat of a fire and can reduce the incidence of false alarms (a profit-swallowing nuisance) by constantly sampling air for contamination. They’re more complex and you should certainly make sure your installer is properly qualified. But, correctly fitted, they can be cost effective and very reliable. Wireless fire alarm systems are now well-established and are an excellent solution for business wanting to avoid the cost and disruption of installing cabling everywhere. Wireless may especially appeal to schools, hospitals and shops or companies based in heritage buildings where the fabric and décor has to be carefully preserved.